Among other things, mountains provide the majority of the world’s fresh water. Meanwhile, as humans venture further and higher for recreation and resources, habitats are being destroyed and degraded. Rare plants and animals are living in diminishing areas, and mountain people - often among the world’s poorest - are facing increasing hardships in what many scientists believe is a preview of what is to come for lowland areas. 1. Thirteen percent of the world’s population lives in the mountains. 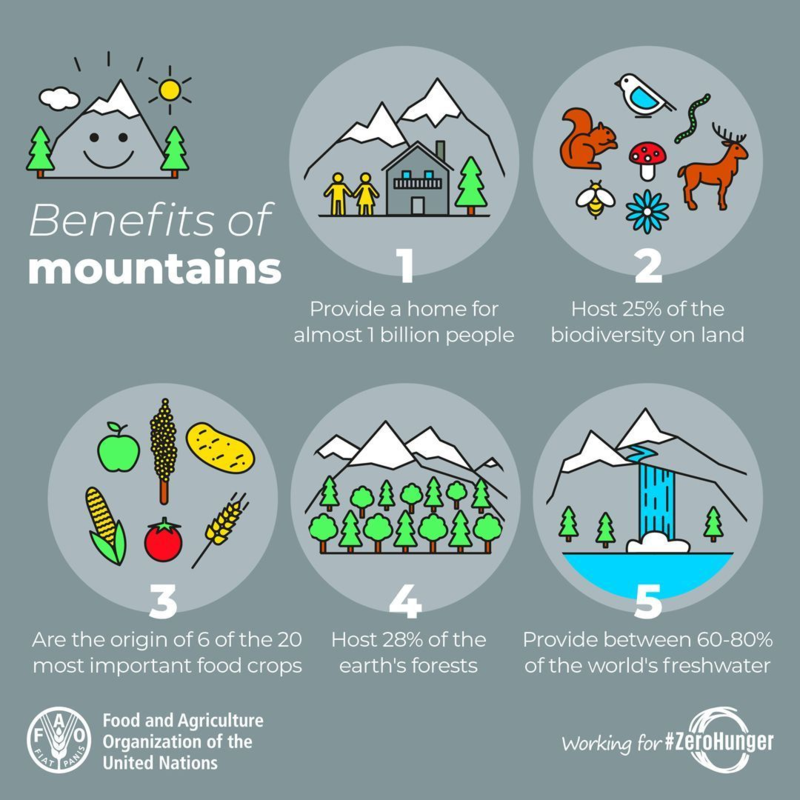 As well as providing resources and sustenance for 915 million mountain-dwelling people - 90% of which are in developing countries and 1 in 3 of which is food insecure - there are indirect benefits for billions more people. 3. Maize, potatoes, barley, sorghum, quinoa, tomatoes and apples - six of the 20 plant species that supply most of the world’s food - originated in mountain areas. Many high-value and high-quality foods are also produced by mountain communities, such as coffee, cocoa, honey, herbs and spices, improving livelihoods and boosting local economies.